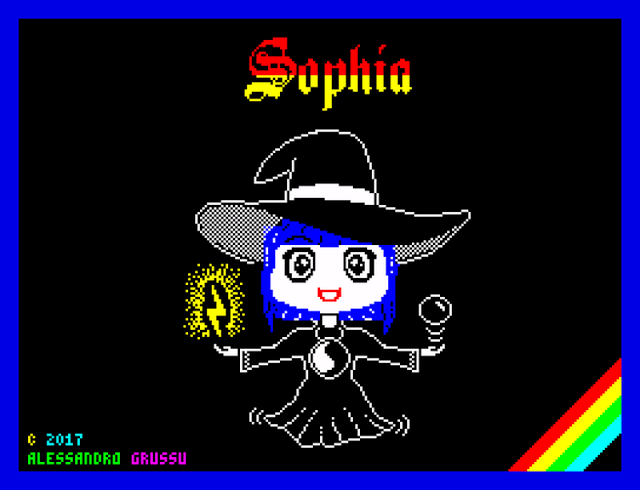 Even more Halloween goodness as we've come across another announcement on Facebook, that Alessandro Grussu's game of ' Sophia ', has been released for the ZX Spectrum and is available for all to play right now! This game which was developed using Arcade Game Designer puts you in control of a little master wizard called Sophia, on a mission to save the empire from destruction and humanity from enslavement. Please note I was hoping to do a review of this game but due to time constraints I'm unable to!